An occasional headache is unpleasant, but when they’re severe, recurring, or migraines, they can interfere with your daily life. 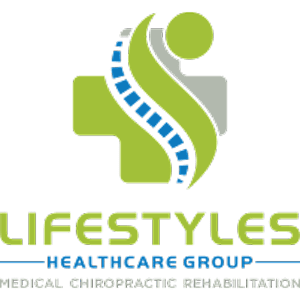 Dr. Darin Stokke of Lifestyles Healthcare Group in Fort Myers, Florida targets the root of the problem using chiropractic care and lifestyle changes. His extensive experience gives him the ability to diagnose and treat men, women, and children, leaving his patients headache-free. Call or schedule an appointment online to learn more. Headaches tend to cause dull aches and pain in the head that can range from mild to severe. They may develop in the temples, back of the neck, forehead, or where the sinuses are located. While stress can cause headaches, pain in your neck and upper back may lead to headaches, as can poor posture and various other musculoskeletal issues. They can last from 30 minutes to a week. A migraine causes moderate to severe throbbing or pounding, and usually only affects one side of the head. With a migraine, you may have an aura before it happens. During an aura, you may feel less mentally alert and have a decrease in mental clarity. You might see flashing lights or lines or feel a tingling or numbness in your face or hands. Headaches may arise from stress, anxiety, muscle strain, allergies, or certain medical conditions. The exact cause of migraines isn’t currently known, but researchers believe an altered blood flow and chemical changes in the brain contribute to migraines. Some women experience headaches or migraines before their menstrual cycle. Menopause and pregnancy cause migraines, as do alcohol, contraceptives, and anxiety. How does a chiropractor treat headaches? Dr. Stokke takes a multifaceted treatment approach for headaches and migraines. To relieve tension in the muscles and any stress from the neck and upper back, Dr. Stokke performs a spinal alignment. It’s possible for him to use massage therapy to relieve tension from the upper back and neck as well. During a nutrition analysis, he determines if your diet may be responsible for your headaches. It’s possible for him to prescribe a vitamin B12 supplement to stop a deficiency that’s causing the problem. Dr. Stokke's services extend beyond traditional chiropractic treatment for headaches or migraines and include class 4 deep tissue laser therapy. Scheduling an appointment for headache or migraine relief is as simple as contacting Dr. Stokke’s office by phone or using the convenient online booking form.